it’s Friday. That means usually that I would publish a post for Steffi’s 5-Question Friday. But lucky Steffi attends a wedding at Mallorca and so there will be no 5 Questions this week. Nevertheless I love this little rite too much to let the Friday pass without showing you 5 pictures. It’s always a great opportunity to recall the last week and survey what happened and how it had affected me. So I decided that I will give you another 5 this week: 5 random facts about me! I always talk so much about the food I am eating that I decided it’s time to share something personal beyond food. And tomorrow I will come back and share with you my recipe of Vegan Springrolls! I swear they’re to die for! 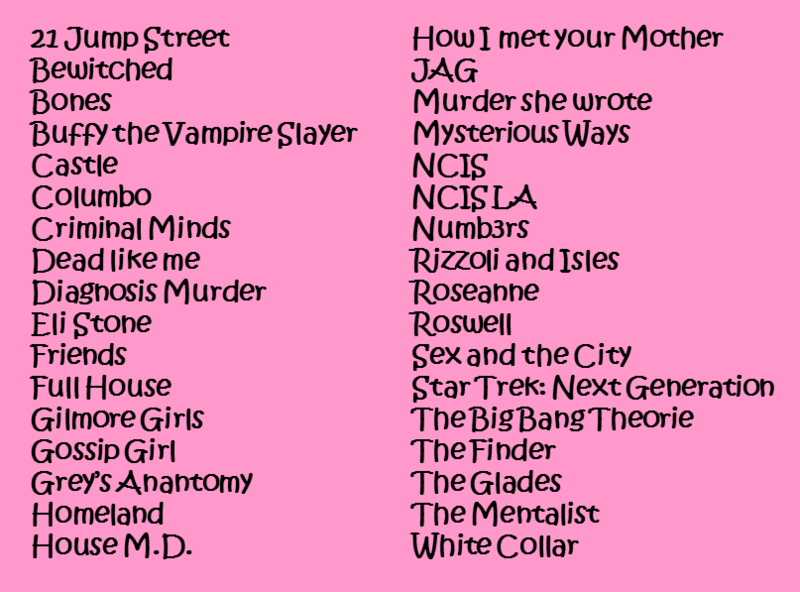 Here you have a list of my current addictions (of which I never miss a single episode) plus some all time favorites. Sharing your favorite TV series really feels weird as if I am sharing something really privat! Spoiler alert!!! You will eventually figure out that I am a BIG NERD!!!!! This is really just a shortcut of all the series I am enjoying frequently. Just the current and all time favorites – there is way more left that didn’t make it to the list! I chose alphabetical order because I just couldn’t rank it! 2. Though being from Munich I haven’t been to the Octoberfest for 14 years! I am not a huge fan of drunken crowds and I am not drinking beer. It upsets my stomach. And it is so horribly expensive that I just couldn’t bring myself to go. These weeks are horrible when you have to take the train to Munich. It stinks and there are sleeping drunken people all over the trains and stations (which is more than enough for me). And it’s kind of a “don’t-step-into-vomit steeplechase” – sorry for being disgusting! But there are many other places I love to go. 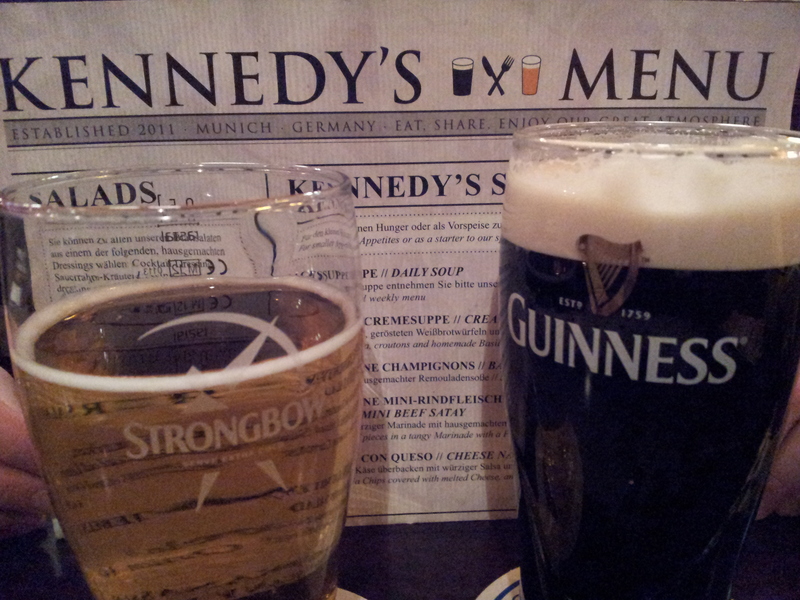 Kennedy’s Irish Pub for example! Means, I am always having a plan, a backup plan and a backup backup plan. 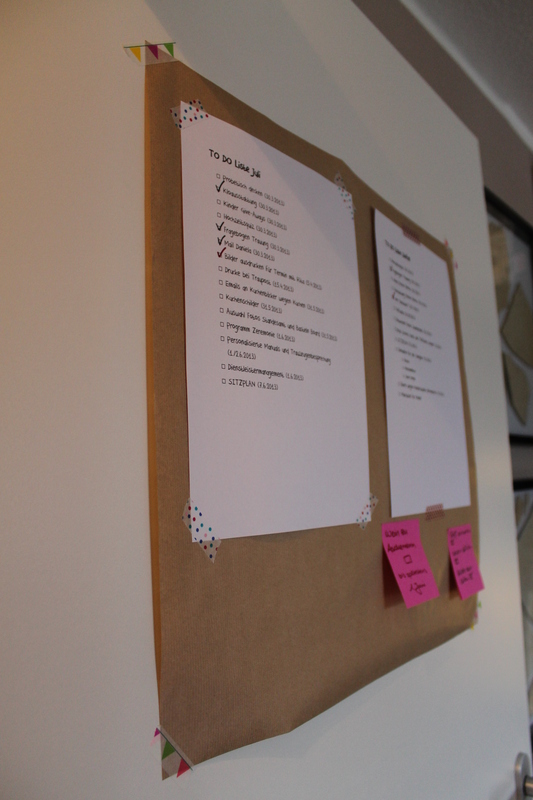 Those are neatly organized in to-do lists of different colours. I always plan ahead and have a time schedule with some slack time. I hate other people interferring with my time schedules by being late. I hate when someone says he or she’s bringing a chocolate cake and then turning up with ice cream because there was no time left for baking. I am not very flexible – though I state being absolutely flexible in my CV 😉 And I can’t say NO. Never! I always say: Yes sure, that’s possible. And: Can I help? I haven’t been riding my bike for at least 6 years, maybe more. I prefer walking over biking anytime even if it means going from A to B takes much longer. I love walking. When we’re on vacation exploring a city we only use public transport when it’s absolutely necessary. Next time I will take a pedometer on vacation and track our distances! There is so much beauty in autumn. It makes my heart ache. I am little bit of a melancholic person and the autumn atmosphere seems to relate easily to my mood. To me autumn is the epitome of the year – a last rebellion of sheer beauty before it’s finally ending. I love the wind, the colorful leaves, the flavors, the pace… if you can’t understand what I mean you just have to go on a walk through the English Garden in late September or the beginning of October. And not as corny: I love the fashion! Okay guys that’s it for my TGIF post. 5 new things about me. It was ratehr difficult to come up with 5 things. I really had to think hard.